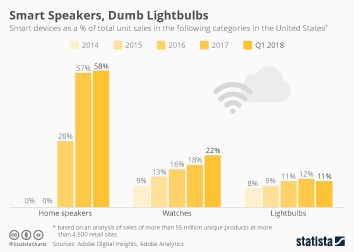 Amazon held a special event on Thursday to announce nearly a dozen new devices, including an Alexa-equipped wall clock and, somewhat perplexing, a semi-smart microwave that connects to an existing Echo device to add voice commands and order more popcorn (literally). 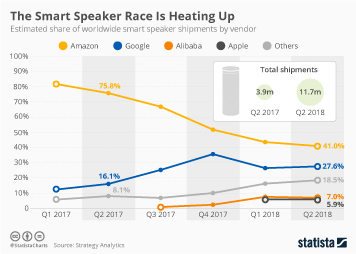 While a microwave and wall clock seem like curious choices to add voice capability to, yesterday’s announcements are a clear sign that Amazon wants Alexa devices to be everywhere, including the kitchen. 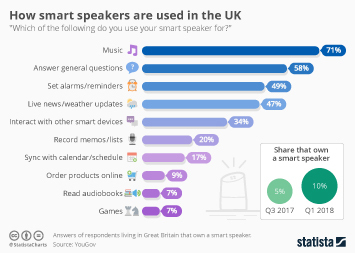 At this point, it wouldn’t be a huge surprise for the company to unveil a smart toilet paper holder, equipped with a Dash button that prevents you from ever running out of paper again. 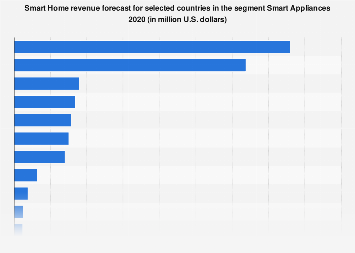 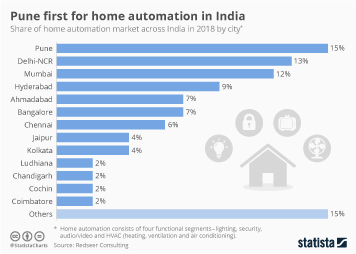 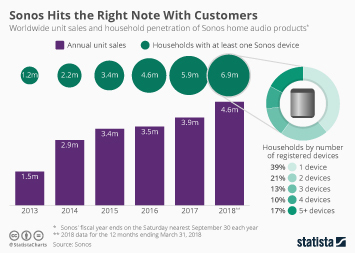 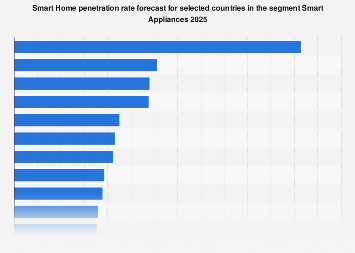 As the following chart illustrates, smart household appliances have yet to make a big impression on consumers. 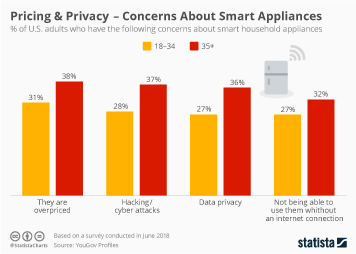 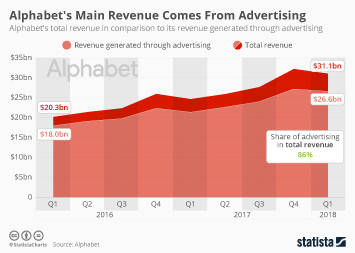 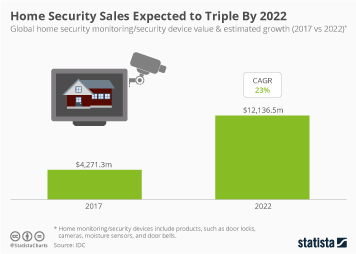 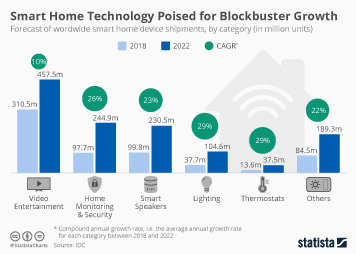 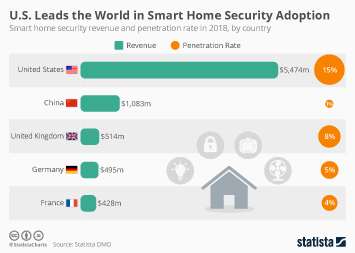 According to a 2017 Statista survey, the category lags behind other areas of the household both in terms of smart device ownership and future purchase intent. 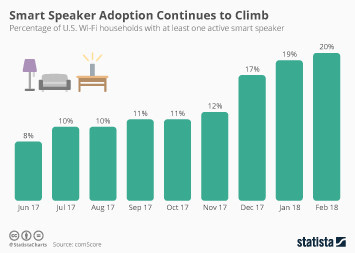 This chart shows the percentage of U.S. consumers owning/planning to buy smart home products from the following categories.